Sans Digital AccuRAID SANOS 4.0 is a proprietary SAN storage management operating system. It is equipped with a refreshingly simple to use web GUI and is easily deploy into any infrastructure. SANOS 4.0 delivers comprehensive storage functionality and brings enterprise-level features to the SMB and Enterprise businesses with high performance, high availability, and unparalleled scalability. SANOS 4.0 is constructed by data service engine, management service, and system resource manager. SANOS 4.0 maintains the AccuRAID with dual active-controller by HAC (High-Availability Control) to integrate the communication of two controllers. SANOS 4.0 also acts as a very important bridge between system front-end (host side) and back-end (SAN system infrastructures and disk drives). SANOS 4.0 provides the intuitive and simple operating system GUI, which makes deploying all of your SAN systems effortless. You can plan local DR (Disaster Recovery) by using snapshot/clone, or use remote replication or MPIO data transition to back up your valuable data in different buildings or office branches. The most efficient and economical data protection method for enterprise and SMBs is RAID technology. SANOS 4.0 provides complete RAID levels, RAID groups across the enclosure, and intelligent disk roaming. You will have the highest flexibility to choose the appropriate RAID settings to best suit the application requirements. RAID EE adds more spare disks (RAID EE spares ) in a disk group to separate the original global, local, and dedicated spares. Spare areas are preserved in each stripe of the disk group and are distributed in the disk group by means of disk rotation. When disks failed in the disk group, missing data is rebuilt into the preserved spare areas. Since all disks in the set are destination of rebuilt data, the bottleneck of traditional RAID rebuild is gone, rebuild performance dramatically improved. If new disks are added in, data in spare areas are copied back to new joined disks. Click here to learn more about RAID EE Technology - RAID vs RAID EE. SANOS 4.0 brings you to a totally different experience of SAN operating systems. SANOS 4.0 boots up your XCubeSAN with ultimate performance by adopting ingenious SSD cache and auto tiering; smart and efficient storage space management by thin provisioning; and undefeatable data protection by snapshot, local volume clone, and remote replication. 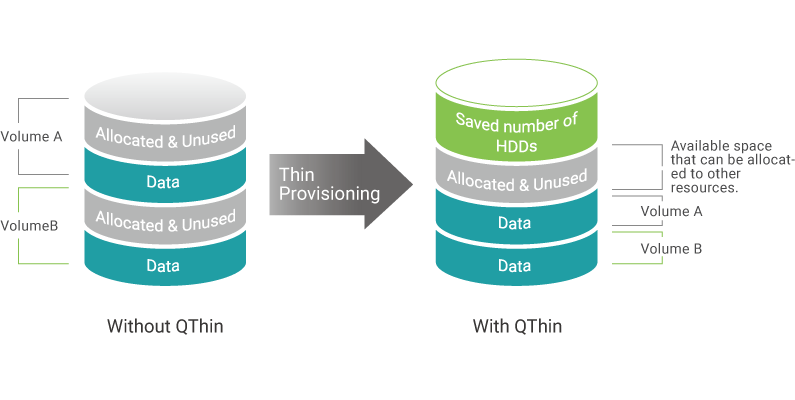 Thin Provisioning uses our advanced storage pool architecture to achieve this functionality. The capacity of the storage pool is shared by all volumes inside the pool. This means that the XCubeSAN is able to support more host servers with a fewer number of hard drives, thereby reducing initial acquisition cost. 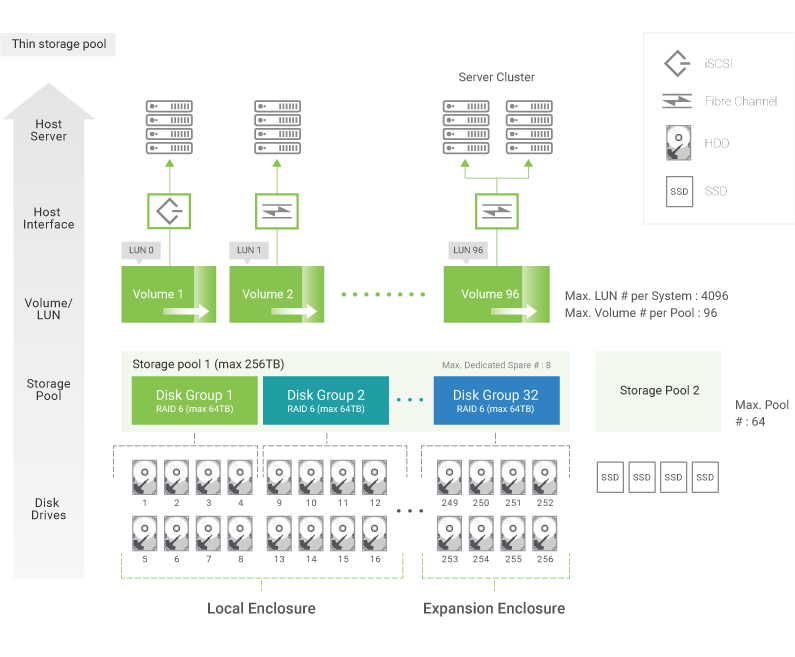 As the storage pool fills, you can add extra disk groups to expand the storage pool capacity without downtime. 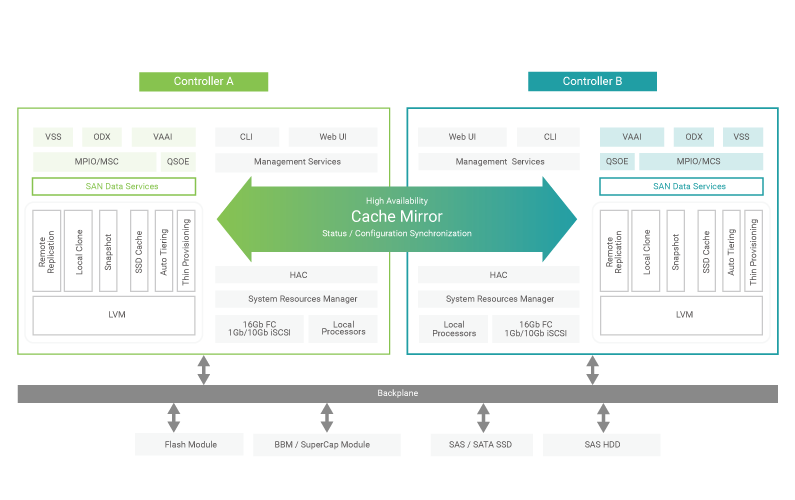 SSD cache is a secondary cache that uses enterprise SSD drives positioned between the RAID controller's primary DRAM memory cache and hard disk drives (HDD). SSD read/write cache boosts random IOPS of read and write I/O for the system by copying frequently accessed random data to SSD drives, increasing the overall random IOPS and lowering the costs by using only few SSD drives. 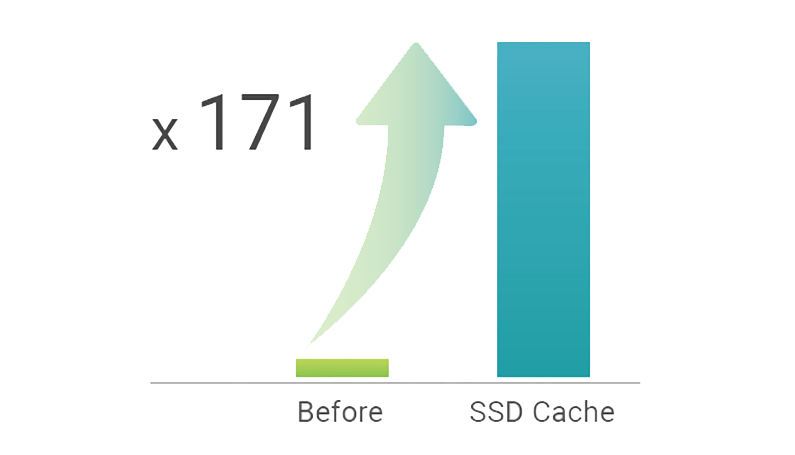 With this technology, SSD Caching can improve random read performance by up to 92 times and random write by up to 171 times. * SSD cache is an optional license upgrade. 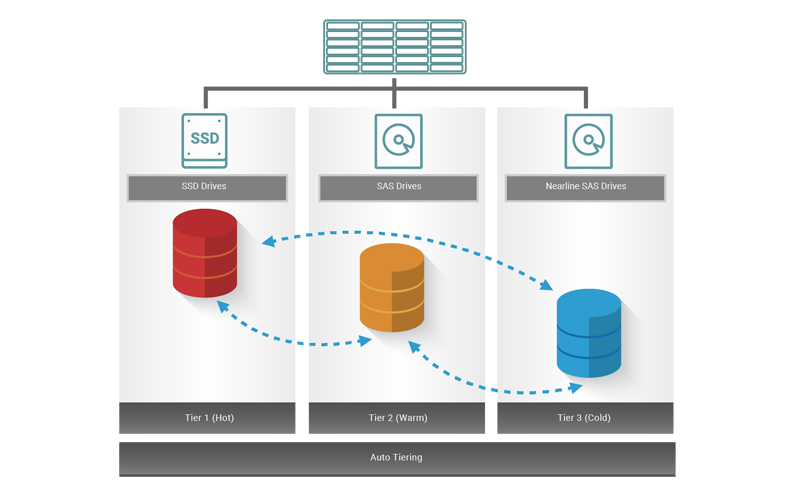 Auto Tiering is an automated storage tiering solution that automatically places hot data on SSD or faster hard drives (performance tier) and cold data on lower cost high-capacity drives (capacity tier), allowing you to optimize application performance without straining your budget or sacrificing capacity. Tiering supports 3 tiers of different drive types. * Auto Tiering is an optional license upgrade. SANOS 4.0 Snapshot is based on copy-on-write technology. It’s a block-based and differential backup mechanism. This functionality is designed to be highly efficient; it keeps a point in time record of block-level, incremental data changes of the target volume. It can help recover a volume to a previous state quickly to meet enterprise SLA (Service Level Agreement) requirements of RPO (Recovery Point Objectives) and RTO (Recovery Time Objective). SANOS 4.0 Snapshot is the easiest and most effective measurement to protect against ransomware attacks, virus attacks, accidental file deletion, accidental file modification, or unstable system hardware caused by bad I/O cable connection, unstable power supply, etc. 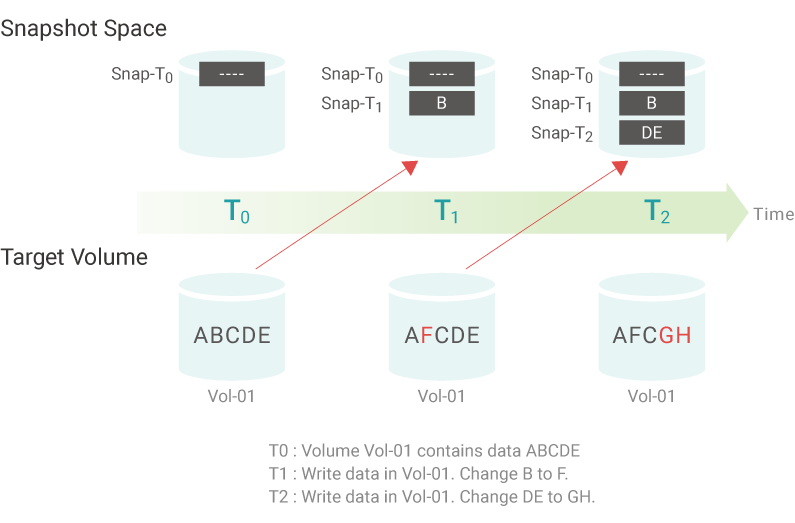 Local volume clone is used to make a duplicate copy of a volume in the same storage pool as well as in a separate storage pool within the same enclosure. In setting up a local clone task, the first clone is a full copy. From that point on, the cloning is a differential copy, created using SAN OS 4.0 ’s snapshot functionality. Manual and scheduled tasks are available for management flexibility. In the event that the source volume fails, IT managers can quickly switch to the cloned volume and resume data services. SAN OS 4.0 remote replication is a block-level, asynchronous, differential remote volume backup function through LAN or WAN. SAN OS replication has many powerful capabilities including unlimited bandwidth, traffic shaping, and multiple connections per replication task. It’s the most cost-effective and efficient way to perform remote data backup. All AccuRAID storage systems running SANOS 4.0 or above can replicate to each other using replication completely free of charge. 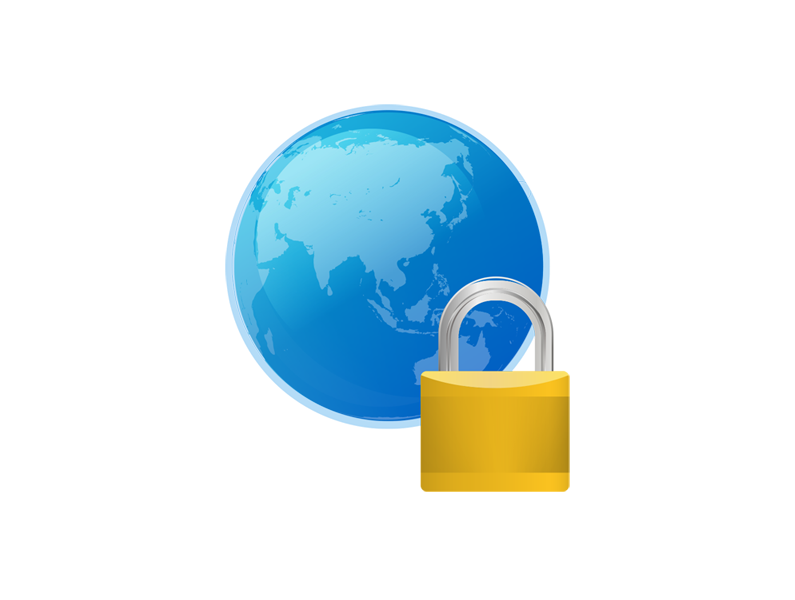 Data security and data integrity are one of the most important subjects for enterprises and SMBs. SANOS 4.0 provides the most comprehensive features to guarantee your data security and protect your businesses from data theft, unauthorized disclosure, malicious network attacks, and accidental corruption.